At the moment, boxing’s premier talent, undefeated Floyd Mayweather, is penciled in for a May 3 return to the ring inside of the MGM Grand in Las Vegas, Nevada. With no opponent set as of now, the public eagerly awaits the announcement of Mayweather’s next ring foe for his latest Showtime pay per view showcase. 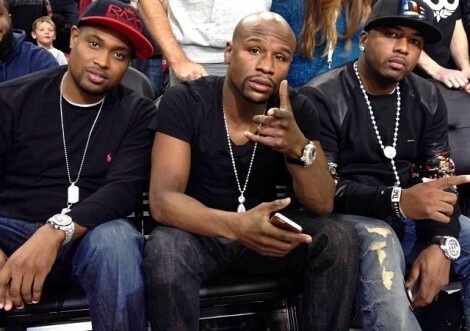 As for Floyd, as is often the case when the 36-year is away from his training base in Las Vegas, he has been traveling the world over, making various club appearances and handling business with his crew, better known as The Money Team. It’s a whirlwind kind of lifestyle for sure and despite not having to go through the mental and physical rigors of an intense training camp, there certainly is a lot of work that comes into play with Mayweather’s ‘down time’. Speaking with one of Mayweather’s closest friends, Ricki Brazil, I was able to get a little more insight into how life is like alongside one of sport’s brightest stars. 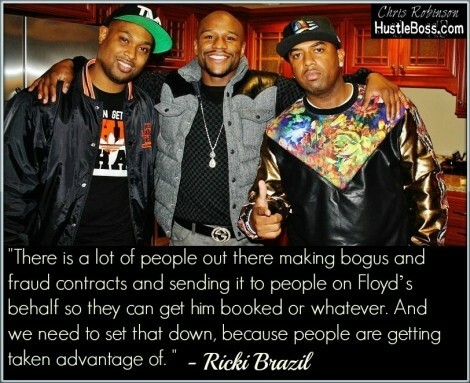 An entrepreneur in his own right, Brazil helps set up Mayweather’s various guest appearances and also keeps himself business with his flourishing fashion line, named after himself, Ricki Brazil. 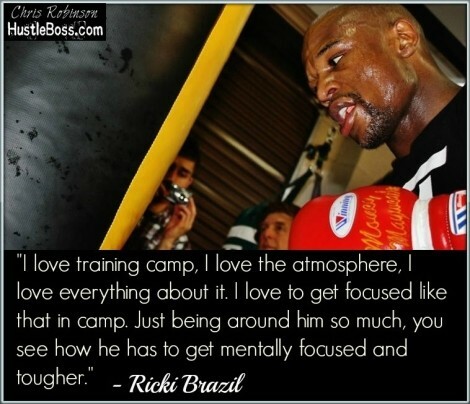 Read below for more from Brazil on what the jet-setting lifestyle has been like, his perception of how Mayweather is embraced by the public, why he feels the need to set the record straight on Floyd’s guest showings, his anticipation towards the next training camp, and more. “She is one of our signature models that represents us. My business partner has a personal relstionship with her mom Evelyn so it was a nice step for us to take and whenever she models for us we get good results.